It might make just as big of a mess, but that's okay. Photo courtesy of @junkgypsy Instagram. Carving pumpkins is not anything new when it comes to fall, y’all. It’s messy, slimy, and pumpkin guts and seeds get everywhere! Check out these painted pumpkins! You might still make a mess while doing them, but they’re so cute when you finish up! The best part? You can even add glitter! Swipe through the above slideshow to see some different pumpkins that Junk Gypsy made! Paint them all different colors, splatter paint, add glitter, and just go wild! Maybe you would still like to actually carve some pumpkins? Well, why not do both? 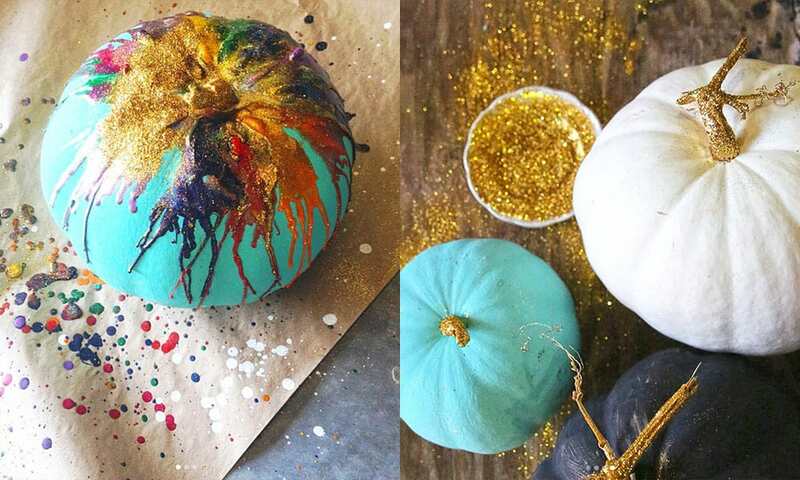 Carve whatever design you want into your pumpkin, then paint it and add glitter! Want more pumpkin ideas? Click here!